The industry has seen a lot of technological infusion with each coming year. The growth of this industry cannot itself be tracked, but the industry is for sure leaping forward with big steps. One can’t just forecast the trends that will influence the fitness industry globally. The rising awareness among people regarding health and fitness is reflected in the rapid growth in the demand for diet programs, healthy nutrition, gym memberships, and in the use of mobile fitness applications. In revenue terms, the fitness industry growth rate is 2.6% globally. According to the latest International Health, Racquet & Sportsclub Association (IHRSA) report it should reach $87.5bn in 2018. Owing to the receptive attitude of the people, the industry is expected to gain traction over the years to come. The driving factors for the growth of this market subsumes the features, such as keeping track of heart rate, distance covered, workout time, and calories burned, offered by fitness trackers is constantly increasing the popularity of smart fitness devices market over the forecast period. According to the new market research report Wearable Fitness Technology Market is expected to reach USD 12.44 Billion by 2022, at a CAGR of 13.7% between 2016 and 2022. Headwear segment which includes smartwatch, wristband, and others (smart glove, and smart rings) have gained prominence in the fitness market with Smartwatches holding the largest share. Different brands have ventured into making smart wearable devices with fluctuating price range like Fitbit, Jawbone Apple with some newbies experimenting the industry. 2018 is expected to set the stake further high in $6 billion wearable tech segment. There is a new wave of digital trends being driven by technology and demographic changes. Enhanced internet connectivity and increased adoption of Internet of Things (IoT) have improved Machine-to-Machine (M2M) communication. Cloud technology has encouraged users to adopt the smart fitness devices. With cloud becoming standard, 2018 is expected to altogether alter the fitness ecosystems across the globe. The new upgraded fitness club will replace the old offline kit offering a state of the art technology-driven training experience. 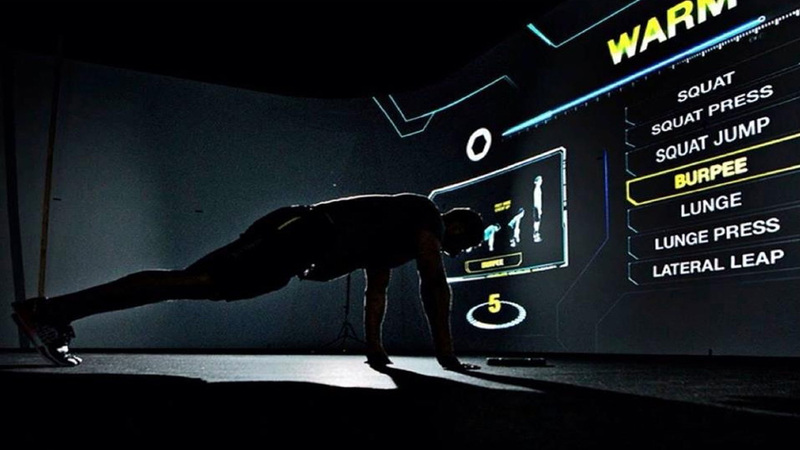 Integrated body fat scales and in-gym virtual trainer applications for instruction, coaching, and testing, directly integrated strength machines, agnostic sensor integration for strength equipment is going to conquer the fitness industry. Mobile app usage in clubs has grown over 168 percent in past two years. Fitness apps top the industry trends and it has become a vogue to keep track of your body metabolism 24x7. Workout apps such as ActiveX, Sworkit, PEAR Personal Coach, DailyBurn and FitStar offer personal training options, individualized exercise programs, group training experiences and interval training. Healthy eating apps, such as MyFitnessPal, Lose It and Athletes equally assist the users to track daily food intake, count calories, target nutritional needs, plan nutrition and reach fitness goals. Memberships with access to all of the information and benefits are made available by some apps. Cloud has yet another blessing to offer to the fitness world. It has made communication and engagement easier with an exceptional rise in online training services by 168 percent. Offering digital coaching classes to your clients without any physical or in-person meeting is certainly a new concept. It is round the clock service provided to the gym lovers who are reluctant to go to the noisy gyms and like personal space for exercising. Online assistance provided for a long period of time may also relax your pocket budget with the discounts provided by the assistants. Virtual training and coaching is a creative way to develop an exercising culture in the not-so-free societies. It is becoming a staple in the fitness world and keeps members engaged with your services. Many clubs are taking advantage of fitness apps Offering diversity, affordability and customization. Mobile apps are precisely bridging trainers with their members. A concoction of real and the virtual world is keeping up with one of the 2018 biggest trends. If not the replacement for the training session but All-in-one fitness software is a perfect companion that can be available simultaneously with all of your members. Until recently, Video games would get a bad rap for converting game lovers into couch potatoes or studio seals. Combining games with exercise has emerged into a new concept of exergaming which is thought to be a plausible innovation of directing energies in a positive sphere. From 2007 onwards this exergaming section grabbed a lot of public attention who want the industry grow into the mainstream. The outcome of experimenting this idea is impressive and it has let the idea ‘exercise isn’t fun’ go off the peoples head.